The Hertfordshire University’s Creative Arts School thrives by bringing together a “community of students and tutors working together with an extensive network of expert industry contacts and graduates”. The design and crafts school aims to combine, knowledge, best practices, technology and industry engagement with social and sustainable concerns. 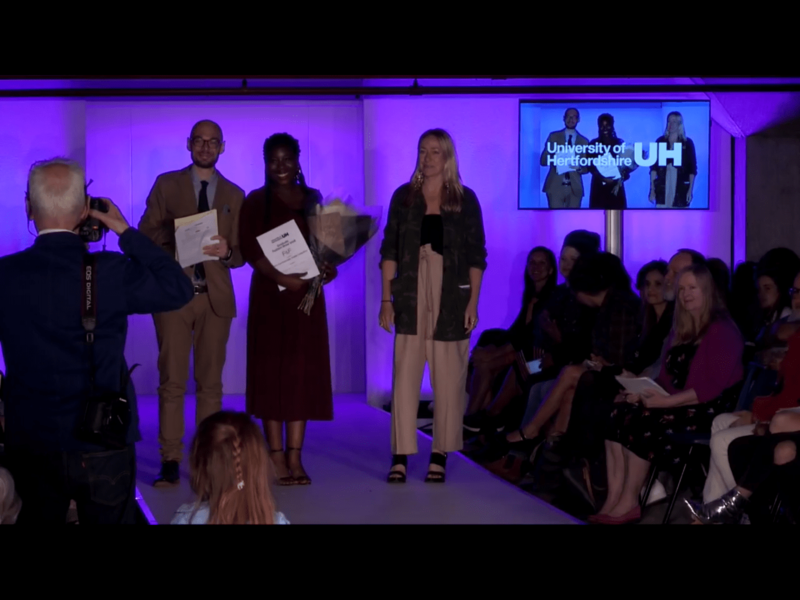 Each year graduate students in the Fashion school get to showcase their final project designs in front of industry sponsors from F&F, River Island and Paragon, family and friends and other fashion enthusiasts. 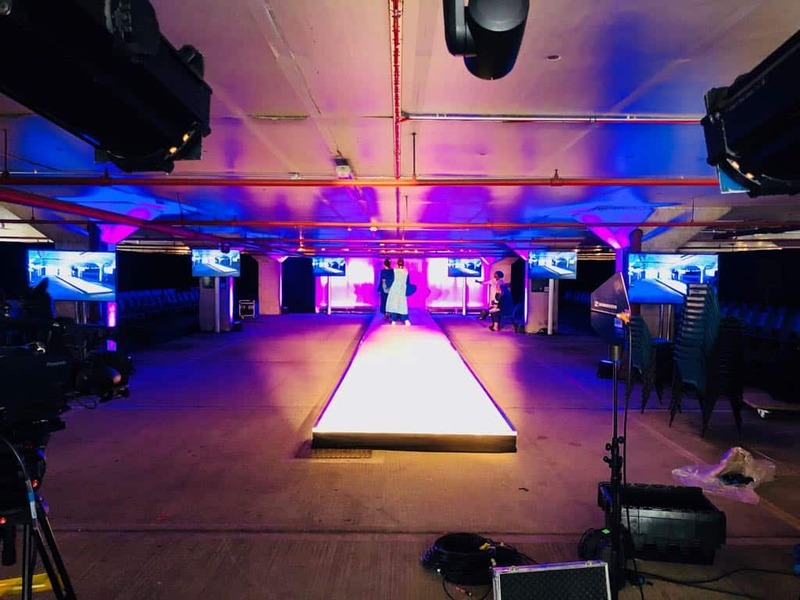 Taking place in the Art and Design Gallery underground Car Park, the fashion event was a high stakes environment that required the show to be pulled off with precision. Vortex events delivered the show from concept to delivery, provisioning a comprehensive technical plan providing lighting and structure design services. 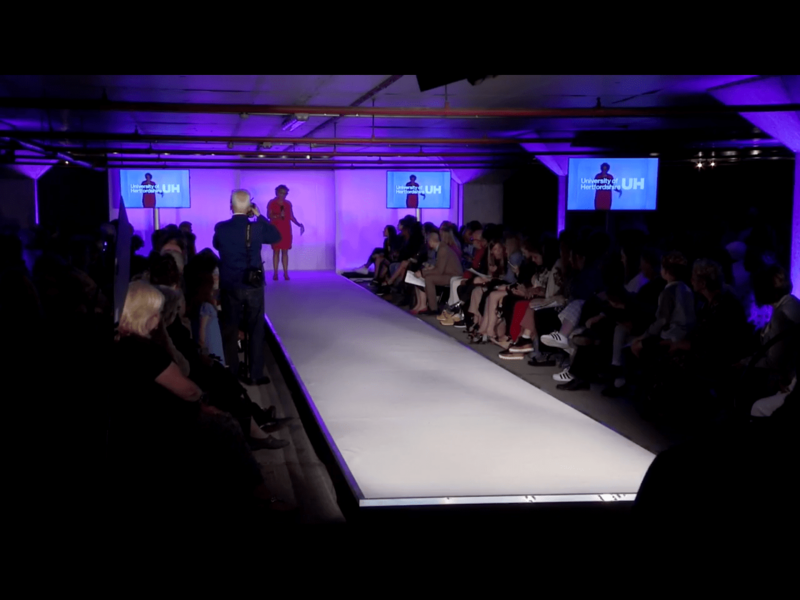 A 13m long catwalk was installed using a stretch of litedeck as the centrepiece of the setup. Lighting being a critical part of the show, Illumination was essential to the designers creation in the underground space. We used a variety of source lighting fixtures, as well as atmospheric lighting with out LED Parcans around the space. 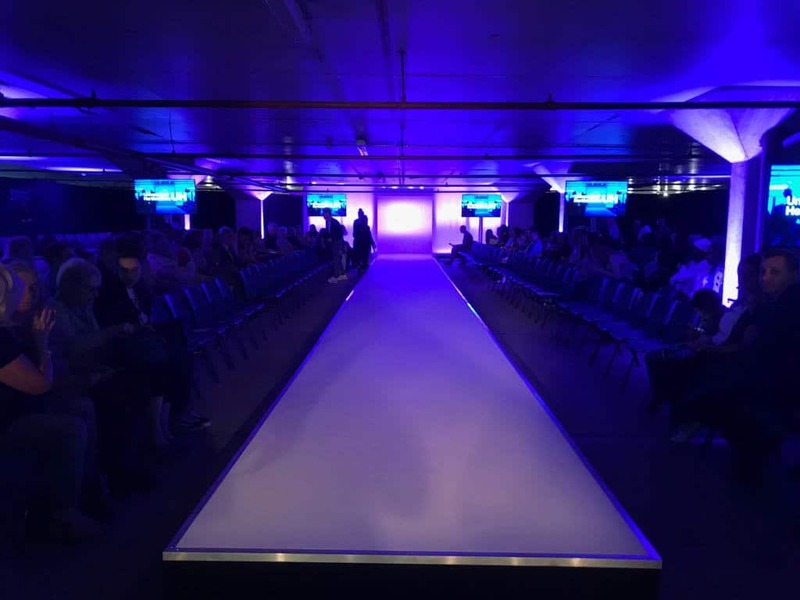 High brightness 55″ LCD screens were placed on either side of the catwalk to display content. 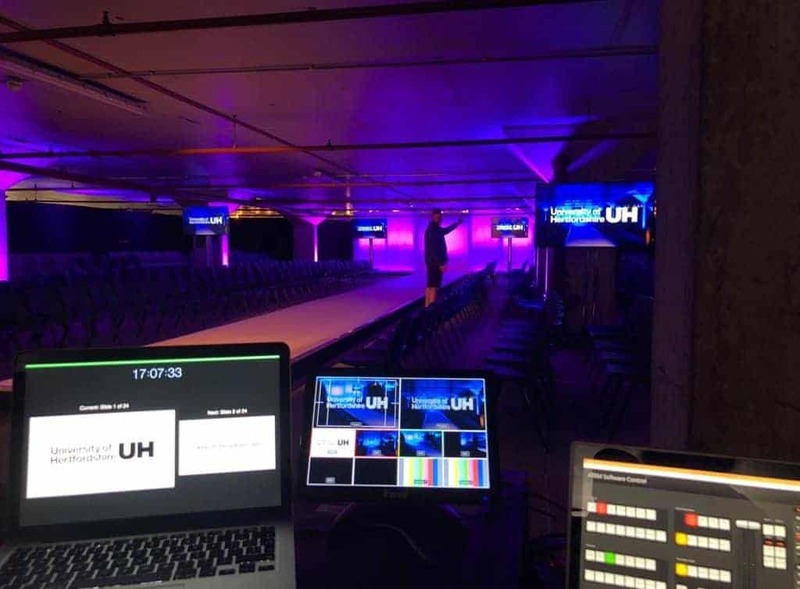 Additionally multiple preview monitors were placed backstage in order to coordinate with the show out front, with an aerial view provided by a Sony BRC300 Robocam. Once again Vortex events supplied the show from concept to delivery, providing a crew on the day for load-in, setup, show and de-rig completed in under 16 hours. We had technicians throughout the event assisting with the production of the show. A comprehensive communications system was also put in place to make sure the team was working together to deliver another successful show.